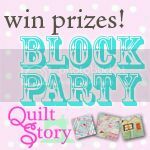 When I red about the Block Party at Quiltstory blog I decided to join (seems that it looks like I'm joining everything and everywhere last days... ;) ). 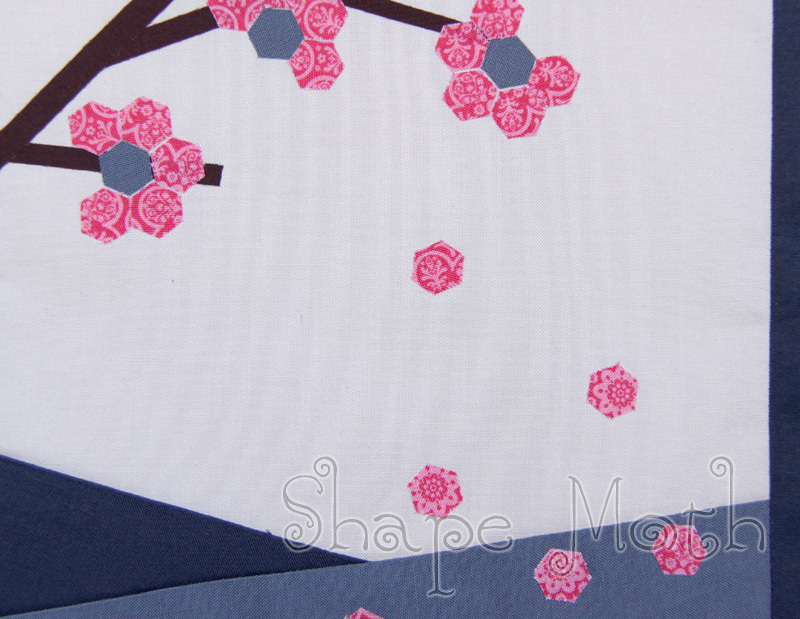 You can add a block in 3 categories: modern, traditional and creative. As I'm not good in traditional patchwork I prepared 2 kreative blocks and 1 modern (or at least it was suppose to be modern, but at the end it looks... hmmm... how to say it gently... bad?). I will add it anyway, as it's already made. Especially I love the eyes... I had a small piece of fabric with golden pattern on it and it fits perfectly to the owl. The beak and the black shades are painted with textile paint. I think that for some short time I will slow down with work. 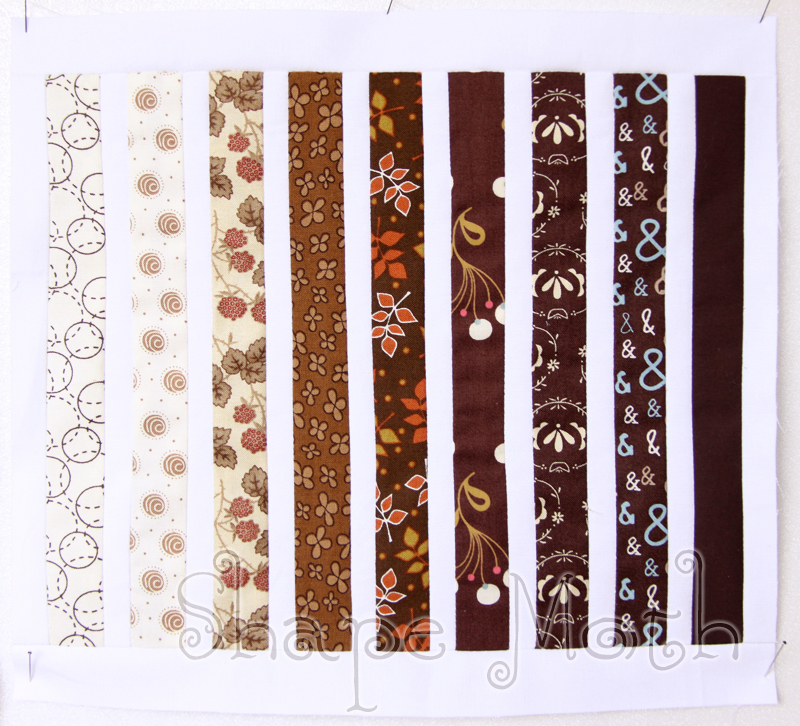 I have some things which have to be finished... (and those are other ones than sewing ;) ). Wow, girl you just stun me! 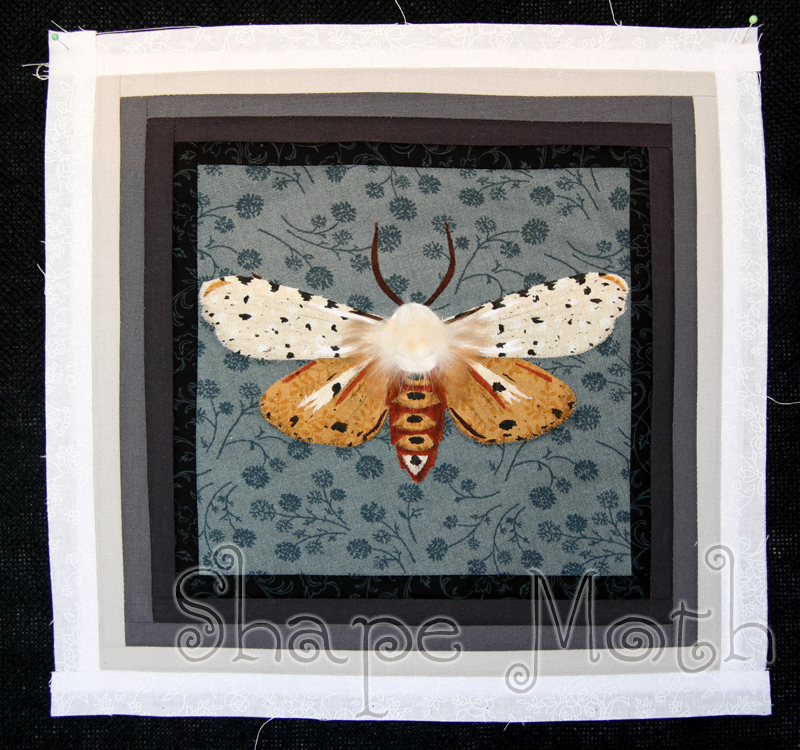 The owl and the moth are works of art - have you ever thought of getting your work in an art gallery?? 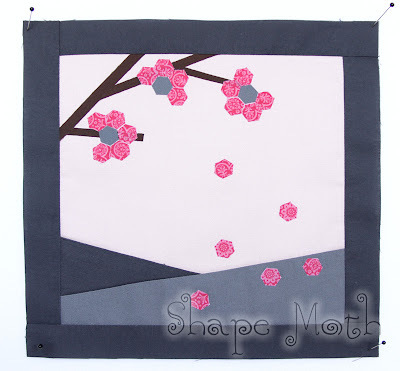 As for the block you don't like, I actually love it and see it as a quilt using a different colour for each block, graduating in shades like the one you have made. I landed on your blog via the block party. 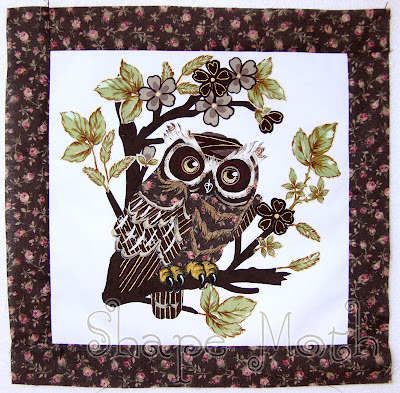 You made some beautifull things, but I am sooooo impressed by your owl applique, it's gorgeous! Wow! You have an amazing sense of color! 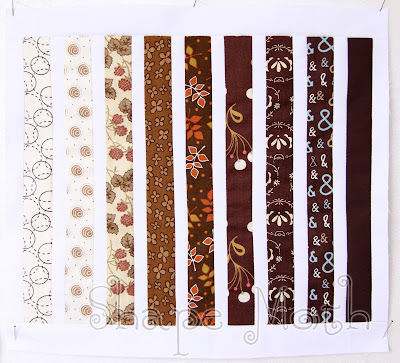 Great use of fabrics and textures too. Love your owl. 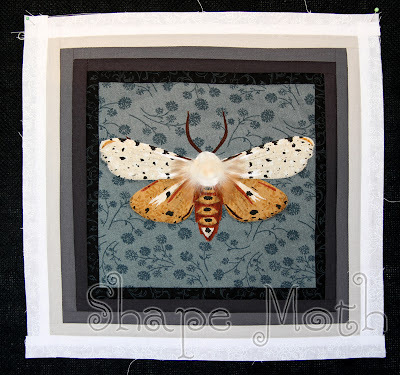 I just saw your moth on Quiltstory- it's amazing! 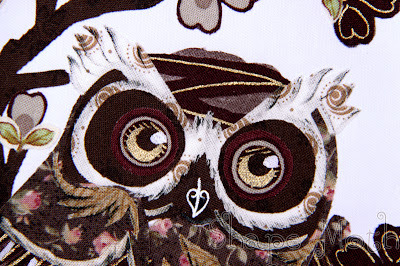 Your owl and moth are both fabulous. So intricate and perfect-looking. Amazing! Love the shades of brown and the owl looks fabulous!! Thanks so much for submitting for the block party, we really had so much fun so THANK YOU!